That is some nightmare fuel otherwise known as a cobra. 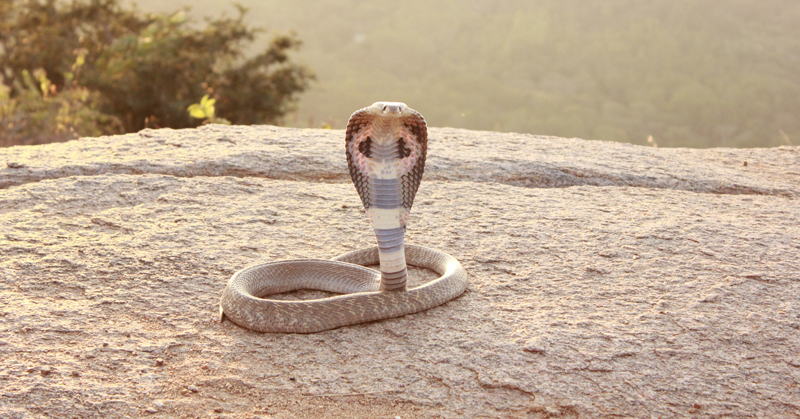 The name “cobra” is short for cobra de capelo or cobra-de-capelo, which is Portuguese for “snake with hood”, or “hood-snake”. Not to be confused with “hood-rat”. That is something different all together that will most likely steal something from you. So these highly venomous snakes are sometimes housed in large numbers, because… why not? Let’s say… science. And when this happens, it is some lucky bastards job to feed them. It could be worse… your job could be to feed THIS snake.